All of our offices will be closed on Monday, December 25, 2017. Vail Vision and Roaring Fork Vision will reopen on Tuesday, December 26, 2017. Denver Vision will reopen on Wednesday, December 27, 2017. 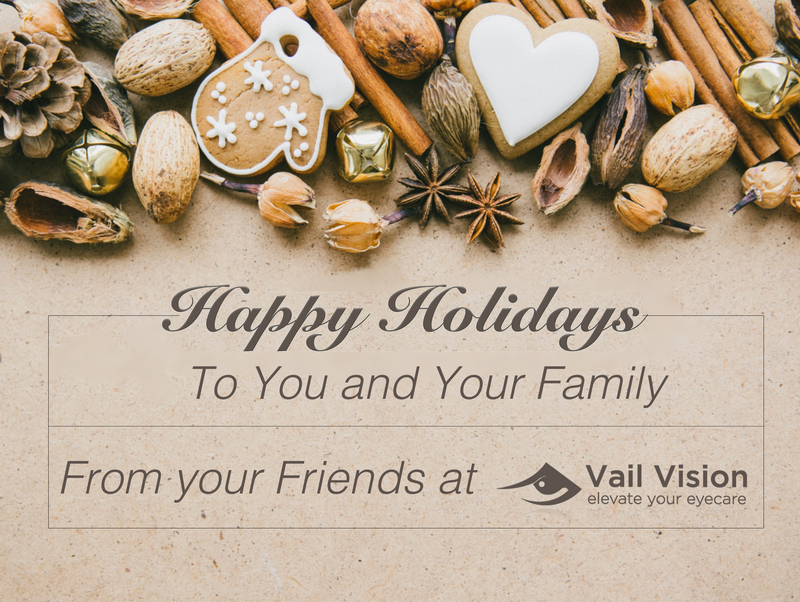 Additionally, we will not be open on Monday, January 1, 2018.Vail Vision and Roaring Fork Vision will reopen on Tuesday, January 2, 2018. Denver Vision will reopen on Wednesday, January 3, 2018. Thank you in advance for your understanding in our updated holiday hours. We wish you and your family a wonderful holiday season!